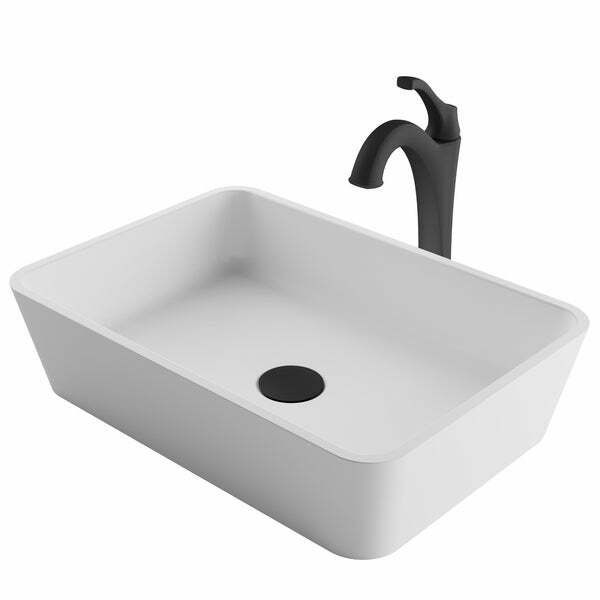 This set includes an elegant Natura Solid Surface sink, Arlo Single Handle Vessel faucet and matching Pop Up Drain. Dimensions 19.7 In. X 13.8 In. X 4.9 In.